It is almost Easter and Thomas FX is blowing out all of its Spring & Easter display merchandise at prices that are dramatically below cost. These items are the remnants of a number of containers that we brought in a couple of years ago for our US retail display customers and are of a very high quality. Unfortunately, we need the warehouse space for other merchandise and are blowing these display products out well below our cost. Order online in the Closeout Specials portion of our website, or drop by our North Vancouver store and carry away armloads of unique quality products at extreme discounts. 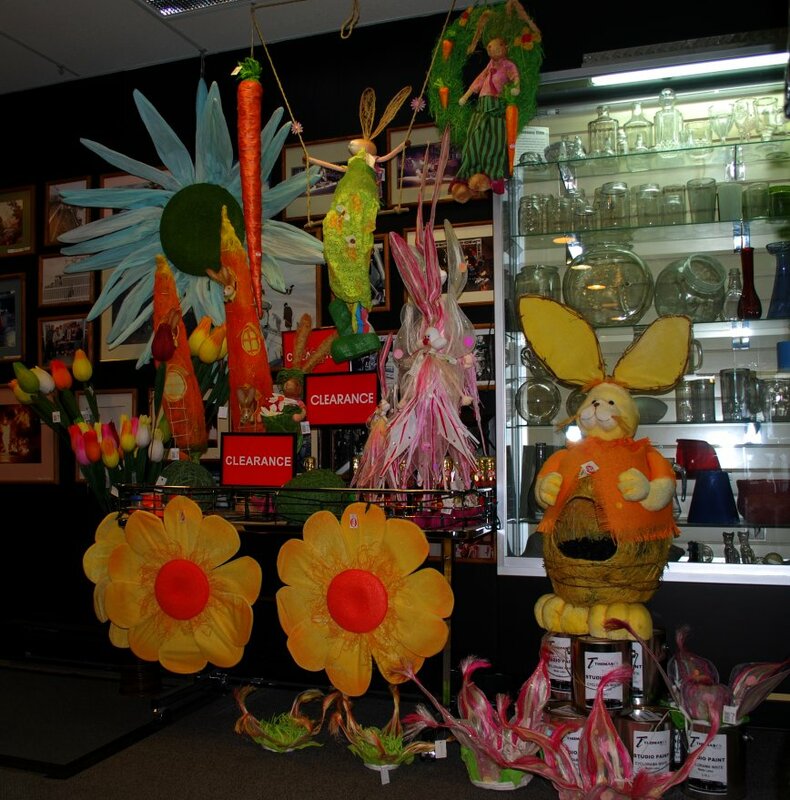 We still have lots of Easter Bunnies, hanging carrots, carrot condos, plus oversize cloth and paper artificial flowers . . . all for sale at prices that cannot be matched. Make this Easter special . . . Drop in today.